Apple’s 30% Cut On Subscription IAP, An ‘Ok-element’ or An Overhead For Your Business? | GUI Tricks - In Touch With Tomorrow! Apple’s 30% Cut On Subscription IAP, An ‘Ok-element’ or An Overhead For Your Business? 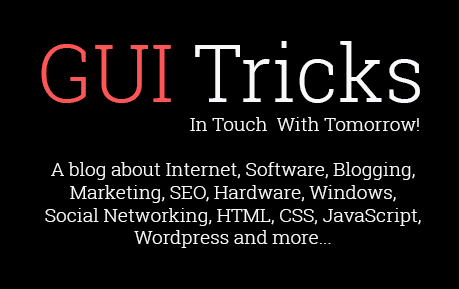 - GUI Tricks - In Touch With Tomorrow! 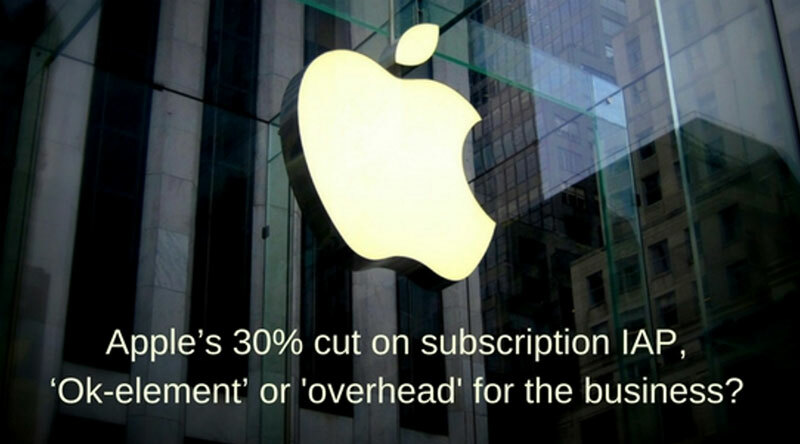 Home Apple Did You know Apple’s 30% Cut On Subscription IAP, An ‘Ok-element’ or An Overhead For Your Business? Apple’s 30% Cut On Subscription IAP, An ‘Ok-element’ or An Overhead For Your Business? Has Apple kept IAP mandatory for all product and service categories? What’s the gain opting for Apple IAP? When and for whom Apple IAP is not a noteworthy decision? What’s the alternative to Apple IAP? In this blog, I have tried to explain two sides of each question’s answer. So dear viewer, it’s up to you to understand what side can impact your business very well. Moreover, I have tried to keep the language simpler so that a layman can even understand it. 1. Has Apple Kept IAP Mandatory For All Product And Service Categories? First of all, it’s a myth that Apple charges 30% for any IAPs. Actually, Apple has kept product and services which are sold outside the app, away from the 30% cut. Apple has released an API called ‘Apple Pay’ which is payment gateway integration for physical goods and services. Apple doesn’t charge a penny for it. But the Apple takes cuts on the payments for inside app content purchase such as eBooks, articles, reports, entertainment audios & videos, photos, game levels, etc. In short, any subscription related to the digital product or upgrade purchase is chargeable with iOS mobile apps. 2. What’s The Gain Opting For Apple IAP? As per Gartner study, “Smartphone users tend to spend 24% more on in-app purchases than upfront payments.” This says a lot. Even if Apple has included lot many things in the guidelines, the IAP is easy to understand from both developer and user’s perspective. Here, we will talk about the gain of a business. Having a mobile app in iOS offers a business to earn revenues with two kinds of money making models. A simple and effective but not a trending model. This model allows a user to download the app for totally free and enjoy the experience for an unlimited time. But for the luxurious app experience, it’s paid. It simply means that for the app update, you have to pay. Well, this is the trending model. You can say that this is the model used for games. A user can download the game for free and enjoy its pleasure till the level defined by the developer. To unlock a further level, payment through in-app purchase is available. These in-app purchase doesn’t unlock only next levels but also offers a variety of characters, gold points, advantages, pins and much more in the game. Similarly, for the non-gaming apps, a certain level of app experience is provided for free and for the enhanced experience, a user has to pay. This currency model itself works as both marketing model and revenue generating model. 3. When And For Whom Apple IAP Is Not A Noteworthy Decision? The above facts lead us towards how worthy decision in-app purchase is. If it’s there, all the apps have earned hard and all the starts up entrepreneurs have become millionaires. Yes, now let’s look at coin’s other side. To bear the 30% cut, business charges customers more, which they aren’t aware of. Take an example of Amazon Prime. Amazon charges $10.99 per month. Now, you can clearly make out that - out of $10.99, $3.28 goes directly to Apple. As I mentioned in the beginning, the business giants like Amazon can afford. Because even if 30% goes to Apple, Amazon is still earning good amount of revenues from iPhone user base. And the revenues generating from android user base is another profit-making business case study. But what about small business owners and startups? They have to keep the profit margin thinner to bear this cut and also to generate and increase the user engagement. Even if they start gaining profit, it will take quite a long time to reach towards a certain milestone and the scary thing is that if loss finds its chance, it could be huge. 4. What’s the alternative to Apple IAP? Netflix implemented this idea initially. (After massive popularity gained, it opted for in-app purchase later). Netflix iPhone app used to allow the user only if the login credentials are created. It was not offering users to register through the app. A user had to purchase the subscription from the website or by whichever other web portals. Once the subscription is purchased, login credentials get created for users which he/she can use to access the app. A startup can take an inspiration from this. Similar to the above point but the steps’ order is changed. A user can register from the app itself and can explore what it has to offer. When a user clicks on Pay For Subscription button, it redirects to the payment portion of the web URL. There you can keep the price you want as per profit margins not as per 30% cut. Look, what Spotify did. When a user tries to purchase or renew the subscriptions, it explains the Apple’s 30% cut scenario and recommends the user to pay through spotify.com. From in-app purchase system, a user has to pay $12.99 per month but from the website, it’s just $9.99. 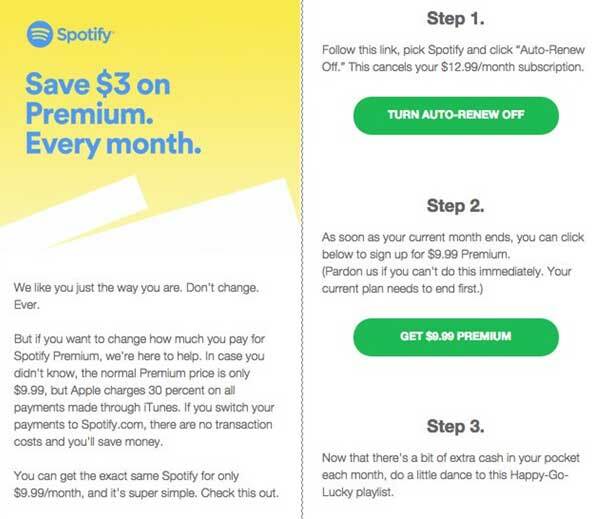 This is a win-win condition as the user gets to save $3 and Spotify.com can gain user’s trust. An innovation itself can survive and make a bang on Android only, then what’s the point going for iOS, especially on startup days? Make an impact on other domains, run effective online marketing campaigns for the limited audience but achieve that breakthrough. Once the success comes in the hand and the demand comes from iPhone users, you may think towards iPhone exposure! Who will question you then? Apple has a lot to offer, a wide user base, a credibility and the security. At another side, Apple’s 30% cut for the in-app purchase on subscriptions comes with a risk. A business owner has to be well prepared for the possible threats, the gains, and the cope up - mechanism to strive in the sea of apps.